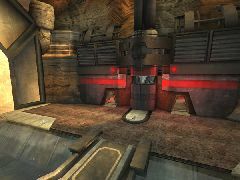 The Q3DM4 Industrial Storage Facility was originally used as a storage area for liquids used in teleportation. 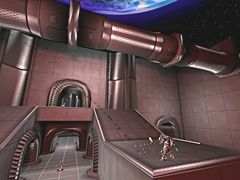 However, as the facility grew more and more empty, it was turned into an arena for the tournaments. This map started of as a way of keeping me busy when I was bored. 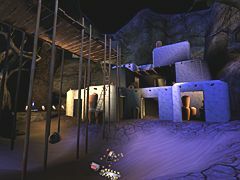 But as more and more work went into the map, I could hardly not finish this map. Pretty much all content is custom, and you may use everything you wish, as long as you ask it in a convincing manner.